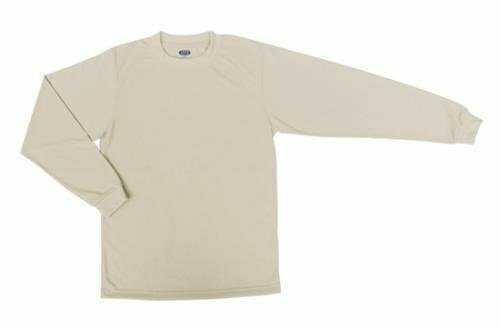 Made of 100% spun polyester, this classic long sleeve T-shirt delivers the look and feel of organic cotton and features a moisture wicking factor, two needle double- stitch seams and four thread over-lock for extra strength at the hem seams. This comfortable, durable shirt can be customized in full color to promote your school, team, organization or special event, or for a great personalized gift. 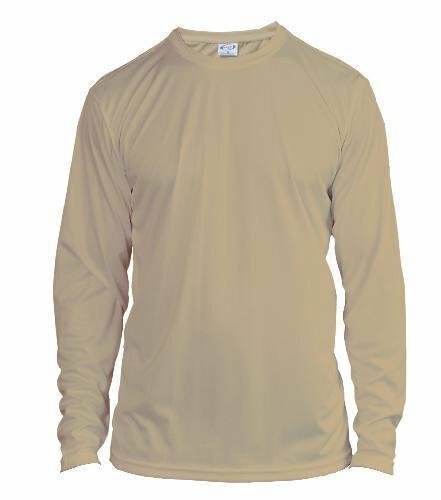 chest 25.5", length 32.5", shoulder to shoulder 23.75", sleeve length 26.5"
Made of 100% spun polyester, this classic long-sleeve T-shirt delivers the look and feel of organic cotton and features a moisture-wicking factor, two needle double- stitch seams and four thread over-lock for extra strength at the hem seams. This comfortable, durable shirt can be customized in full color to promote your school, team, organization or special event, or for a great personalized gift. chest 25.5", length 32.5", shoulder to shoulder 23.75", sleeve length 26.5"
The men's Eco Running Crew Neck is manufactured from 100% recycled materials, reducing energy consumption and conserving petroleum resources by offsetting the need to produce virgin polyester. This shirt is stain, odor, and microbial resistant, and can be customized with your full-color imprint. The Micro Solar long sleeve shirt is made of 100% Micro-fiber Rip Stop and Micro Pique Mesh Inserts and offers superior sun protection and moisture wicking performance qualities. 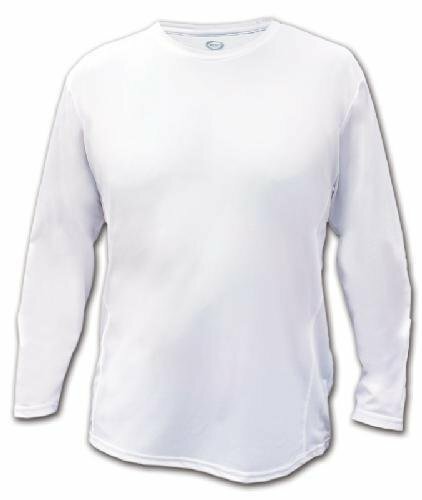 This shirt is light weight and and with UPF + 50, sure to keep you cool and comfortable. 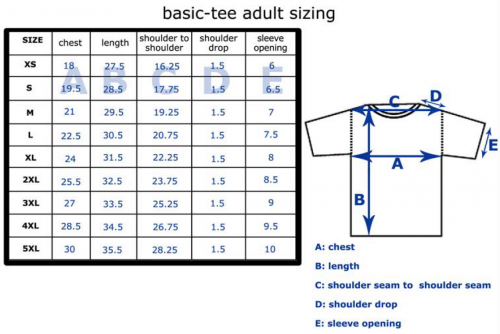 chest 25", length 32", shoulder to shoulder 22.5", sleeve length 27", sleeve opening 5"